The price is set up at the amount of 11900 Euro. 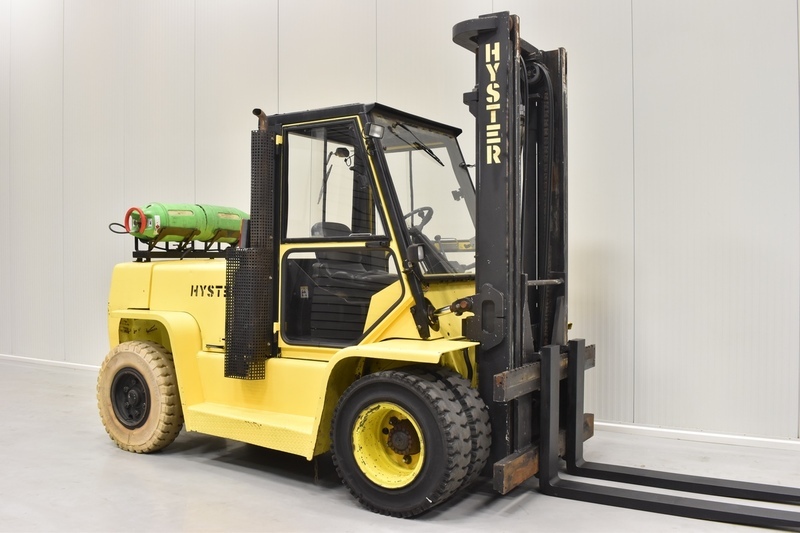 All the offers in the stock of HYSTER 4-wheel front forklift are up-to-date as well as in good shape. Transport dimensions: length – 3500, width – 2040, height – 2750. The lifting capacity is 7000 kg. Additional equipment: STANDARD, cabin, working lights, forks: 1600 mm, Oil pipes 2x, 4-ventil distributor, tires solid.